Facing south toward the backyard, with the livingroom wall at your back. Off stage right is the kitchen. The doorway to the right goes out to the Solarium. 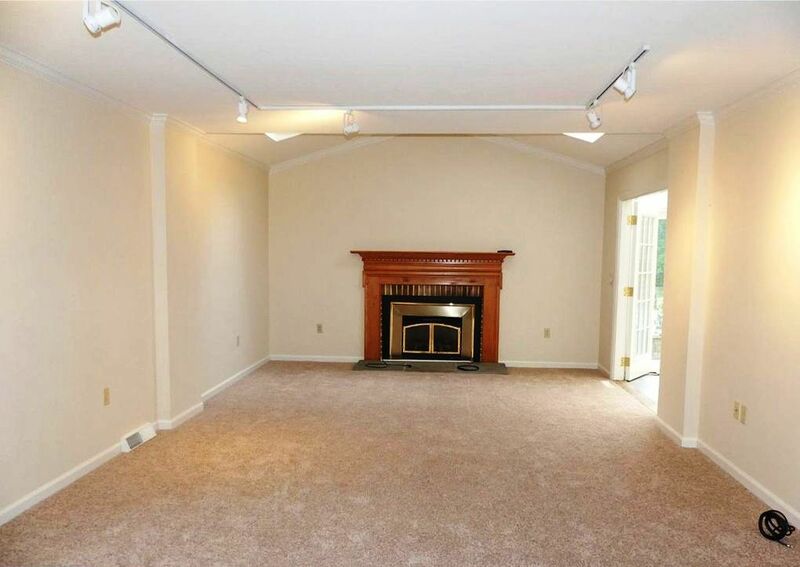 The fireplace is propane, and the ceiling over the fireplace is vaulted with two skylights.